Honey Bunz™ Shampoo is a low-lathering shampoo that is sulfate free and paraben free. It is designed to cleanse, detoxify, nourish, and stimulate blood flow to hair and scalp. Honey Bunz™ Shampoo has a synergistic blend of certified organic lavender essential oil, certified organic aloe and chamomile. This combination of hair enhancing Pro-Vitamin B5, Vitamin E, wheat protein, jojoba oil and rosehip oil leads to healthier, shinier looking hair. Follow with Honey Bunz™ Organic Lavender Conditioner. Appropriate for all hair types. You can find our Honey BunzTM Organic Lavender Conditioner here. Wet your hair and apply shampoo. Massage lightly into hair and scalp, and then rinse thoroughly with warm water. Reapply if needed. 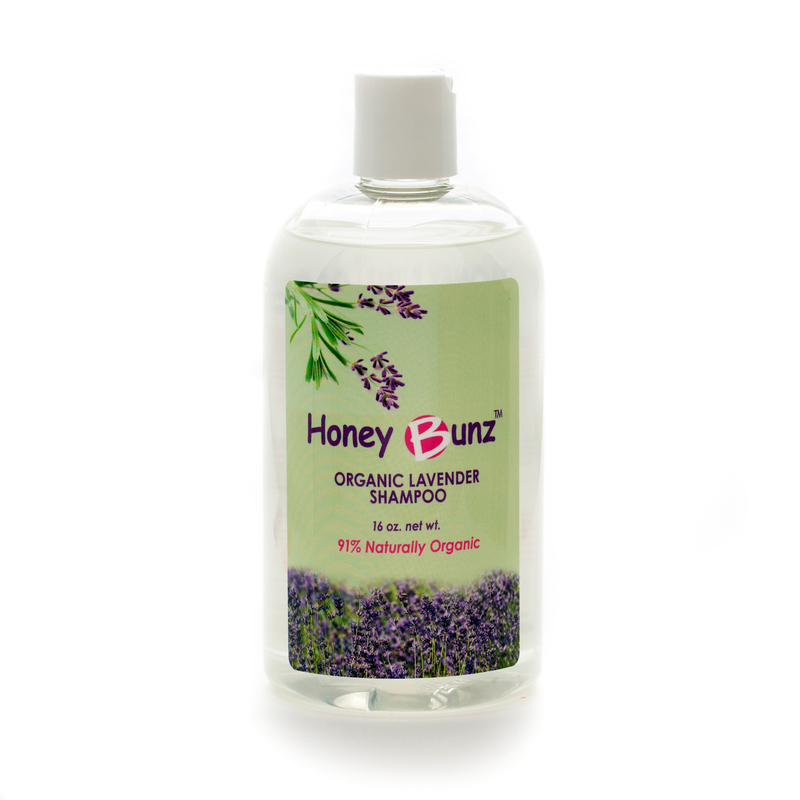 For best results follow with Honey Bunz™ Organic Lavender Conditioner. No Sulfates, no animal ingredients, no parabens, no phthalates, vegan friendly.